With its clear, cool, humidity-free days, gorgeous golden palette and emphasis on eating all the baked goods, fall is unequivocally, indisputably the greatest season ever. Here, your epic fall bucket list—get excited, folks. Or half a dozen of them (no judgements). So what if our house smells like a Yankee Candle IRL…we secretly love those. Wine, grapes, a baguette and enough cheese for 15 people despite being a two-person picnic. Bring home the mother lode to share with family and friends and bake that pie none of those people but you will eat tonight. And resist the temptation to stick googly eyes on them. If you don’t Instagram it, did it happen? Scenic paths and maybe a little whistling encouraged. Fact: The beach is kinda prettiest in the off-season. And promptly belly-flop into it, like you did as a youngin'. Hot wings are hands down the best part of football Sundays. While the rest of the world is, you know, watching football. Don't forget your nubby knitwear. And someone to snuggle with. To soothe your September tomato-season withdrawals. And eat it all damn week. Or skip the pumpkin goo and just decorate one. If you ain't afraid of no pumpkin guts. If you don't buy mums at the hardware store, do you even like fall? Backyard branches = budget ikebana. Let there be golden-amber light. Better than an air freshener. Trust. Lazy leaf-peeping is the best kind of leaf-peeping. Oh please, like you don't love the smell of pumpkin spice, too. 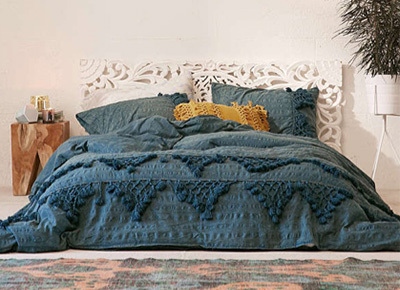 Give us all the faux-fur pillow covers and cable-knit throws. Go ahead, bliss out on nature doing its thang. A foolproof way to test your Thanksgiving recipes instead of trying them blindly on your MIL. Or you know, an excellent crappy book. Whatever suits your fancy. Yes, we’ve watched Love Story 50 times, and no, we’re not sorry about it. Nothing says "I heart fall" like foraging like a wood nymph. Call it a placebo, but rich beer literally tastes better to us in the fall. How very hygge of you. Fall: The one time of year it's totally chill to dress like a farmer. Debatably the highlight of the whole damn season. These boots were made for walkin' on crunchy leaves. Mid-weight coats are the best weight coats, and don't let anyone tell you otherwise. And feign innocence when your kids accuse you of doing so. You'll need some funky mismatched china for that aforementioned dinner party. Bonus points for extra-and-proud-of-it leaf-shaped cookie cutters. Otherwise known as apple pie for lazy people. Otherwise known as happiness in a pie dish. In our HO, an activity best enjoyed beneath a pile of blankets. Consider this your permission slip for an entire afternoon of Stranger Things. May no woman be left panic-shopping on Christmas Eve day. And challenge yourself to a selfie moratorium. Call us a buncha' saps, but watching the sun sink over an orange tree line makes us kinda warm and fuzzy. Even if one is having that afternoon to binge Stranger Things, so be it.